Pretty and versatile with distinctive, heart-shaped leaves and a spreading habit, epimediums bring lightness and airiness to a shady border. The leaves of this variety are mainly deciduous and flushed with bronze in spring and autumn. 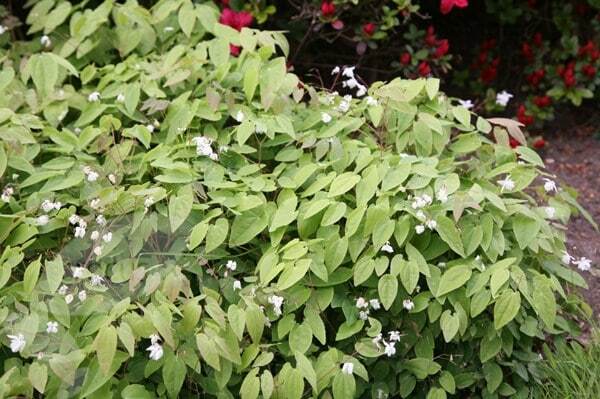 In spring, it has masses of tiny, bell-shaped pure white flowers with long spurs, held on wiry, red-tinted stems. A wonderful ground-covering plant, which will lighten up shady areas, or can be planted en-masse under deciduous trees. Garden care: In early spring remove dead and damaged leaves before the flowers appear and apply a thick mulch of compost or well-rotted compost around the crown of the plant. Lift and divide large clumps in autumn. 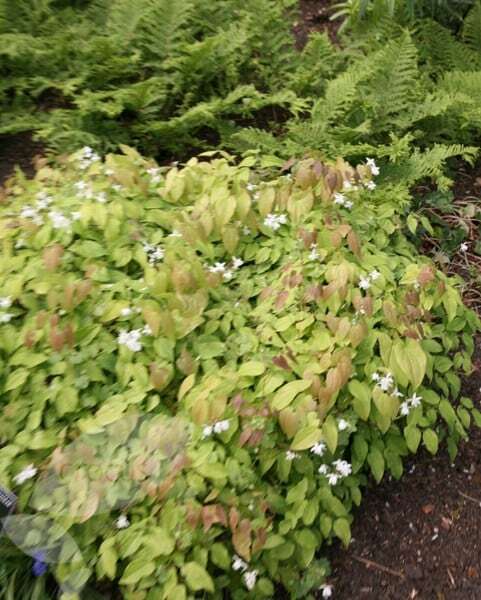 Sadly, the 12 epimedium x youngianum and the 12 epimedium grandiflorum that I bought last September seem to have died. I'm not sure if it was all the winter wet that killed off the small plants, or something else. I had epimediums at my previous house and never lost one. At the same time I bought Tiarellas, Hydrangea macrophylla 'Black Steel Zambia' and Hydrangea anomala petiolaris and planted them in the same border and they are all thriving. Establishing slowly from a small plant, but healthy. Other epimediums doing well, so am hopeful. Sadly three of these plants all perished under the dry shade of a beech tree.